May 1994 saw the first annual Wolf Fest which draws the Wolfpack Fanclub from all parts of North America and Europe to celebrate a weekend of special events and activities with their favorite band. John Kay's autobiography entitled, "Magic Carpet Ride" released in 1994. John Kay and Steppenwolf, Live at 25 (The Silver Anniversary Tour Recordings), a double CD, released February 1995. The album contains 23 tracks including many of the hits from the 60's, 70's and 80's along with two new songs. John Kay was inducted into the Canadian Academy of Recording Arts and Sciences (CARAS) Hall of Fame, in March, 1996. 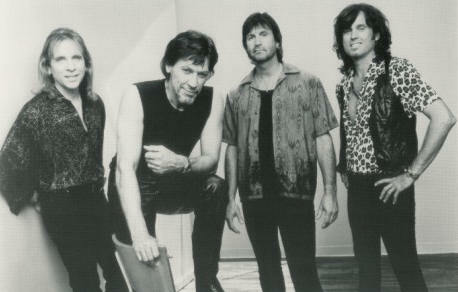 The Summer of 1996 saw the launch of the group's world wide website, www.steppenwolf.com, which has become "Wolf Central" for the groups' international fan base. "Feed The Fire", the first single and video (from the album of the same name), was released in August, 1996 and continues to be supported through special promotions, and John Kay & Steppenwolf's 1997 concert tour. "Looking back, it has always been my inner fire that has pushed me to overcome life's obstacles and allowed me to realize my dreams," says Kay.